I would like to speak to a rep about this and I don't wish to be referred to the sites ToS thank you. All the rep will do is reiterate the Terms of Service. 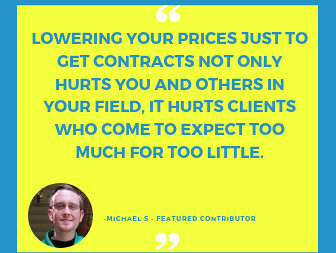 You are free to (try to) negotiate alternative terms with your client(s) but unless they still hire you under those alternative terms and agree to them, any contract with any client on the site (past, present and future) will be subject to the Upwork Terms of Service. re: "it's quite a shock for me to read this"
It's quite a shock that clients own the intellectual property they pay freelancers to create? > It's quite a shock that clients own the intellectual property they pay freelancers to create? It really isn't that simple. I assume James is a designer? The point is that at the time of agreeing a contract you make it explicit what you're selling. Even if you think the Upwork ToS are fine, it does no harm to reiterate what is covered by your agreement and what isn't. Saves bucket loads of potential grief later. I appreciate your comments on the topic, and I agree that there are legitimate situations for which the default Upwork contract may not be ideal. 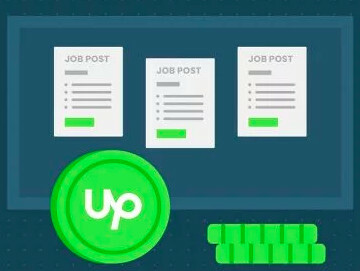 I think that freelancers using Upwork should understand that it is a general purpose freelancer work platform, and that it was not set up specifically for their job niche. As such, the default position that clients own intellectual property created by commissioned freelancers should not be shocking. 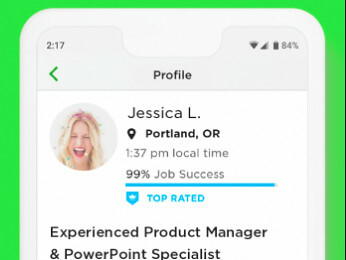 Nor should this default contract cause any concern, given the fact that Upwork allows freelancers and clients to agree to any kind of alternative contract that supersedes the default one. Any FLer who is of professional caliber knows to use specific to job contracts. Any client who wants quality work will be open to this. Thanks Kim, this was very helpful. re: It's quite a shock that clients own the intellectual property they pay freelancers to create? Putting words into my mouth by rephrasing and altering the content of what I said to imply something I didn't state in my original argument, well done you! That's not what I said and you well know it. When you create work as a freelancer you are not generally under any contract or obligation to hand over IP rights. It's sad that you don't understand this and so willingly give away what is yours for such a small price. When you create as a freelancer, you generally only license the use of that work in a project. End of. I appreciate all the other input in this thread, and will take the care to revise contracts where necessary. Is you shere your documents with Microsoft's Information Protection (IP) you van protect your documents if you end your contract with them.